Gaspar Grande or Gasparee is an island in the Republic of Trinidad and Tobago named for Gaspar de Percín. The island is 1.29 km2 (0.50 square miles) in area and lies 12 km (7.5 mi) west of Port of Spain. 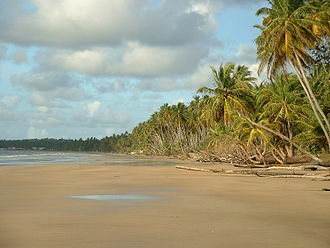 It is one of the "Bocas Islands", which lie in the Bocas del Dragón (Dragon's Mouth) between Trinidad and Venezuela. Gaspar Grande is primarily limestone, and reaches a height of 121 metres (397 ft) at its highest point. Gaspar Grande is home to the Gasparee Caves, a natural limestone cave system with a mysterious pool at its base. Other caves on the island include the White Cave, the Brioge Cavern and the Precipice Cavern. Vegetation on the island includes the Yellow Poui, Giant Cactus, Hog Plum, Silk Cotton, Agave, Manicou Fig, Naked Indian, Pelican Flower, Queen-of-the-Forest (Filipendula occidentalis), Cow Itch, Sugar Apple and Salt-fish Wood. Legend has it that another cave on the island, William Dampiers Tunnel, has a pirate's treasure chest which is easily accessible on certain days of the year. 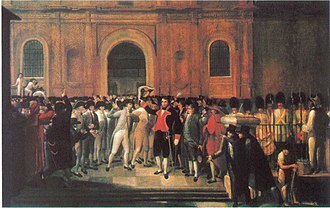 In 1783, Gaspar Grande was granted to Gaspar de Percin Roque by governor José María Chacón. 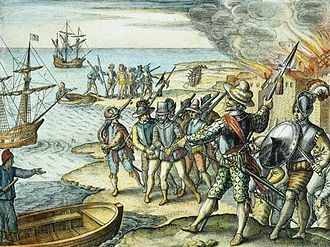 Events in Gaspar Grande's history include the Saga of Admiral Apodaca and the establishment of whaling stations on the island. Point Baleine was once a whaling station, as indicated by its name, which is French for "whaling point". Located on the Southwestern end of Gaspar Grande, Point Baliene is one of the main drop off sites for visitors to the Gasparee Caves. Bombshell Bay got its name from its historical past as there once was a fort located in this area. It is now a holiday resort. Gasparee Caves is one of the more popular sites in Chaguaramas. The cave is full of geological formations such as stalactites, stalagmites, flowstones, pillars, ribbon, and fringed curtain. Other landmarks on the island include Bordel Bay, Winn's Bay, Goodwill's Bay and St. Madeline Bay. Rock Island is a small island in Trinidad and Tobago, part of the Five Islands group of islands. It is located in the Gulf of Paria, approximately 2 kilometres off the island of Trinidad from Point Gourde. Of the Five Islands, which are made up of six different islands, Rock is the second smallest. Rock was named after its physical characteristics, due its small size, the island is very small, no more than 50 metres in length and 30 metres in breadth at its widest point. The island, as with the other Five Islands, is made up primarily of limestone, today the island is uninhabited, with remnants of its last use as a quarantine depot being reclaimed by trees. During Trinidad and Tobago time as a Spanish colony up until 1818 and its first documented usage was its leasing to wealthy private citizens by the Government in the early 19th century for use as a holiday home. It was first leased to T. F, johnston who subsequently sold it to Doctor R. Mercer. Dr. Mercer gave the lease as a present to Master Thomas Laughlin, during these times, a house was built on the island and rented out to the public. Sugar-apple is the fruit of Annona squamosa, the most widely grown species of Annona and a native of the tropical Americas and West Indies. 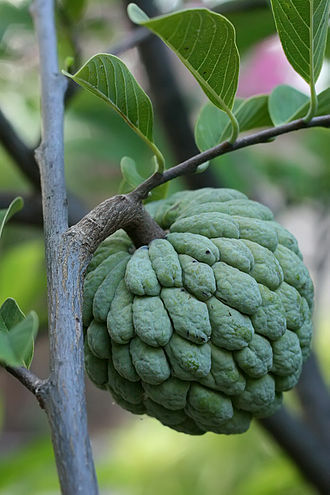 It is known as custard apple in India and in the Philippines, the fruit is spherical through conical, 5–10 cm in diameter and 6–10 cm long, and weighing 100–240 g, with a thick rind composed of knobby segments. The color is pale green through blue-green, with a deep pink blush in certain varieties. 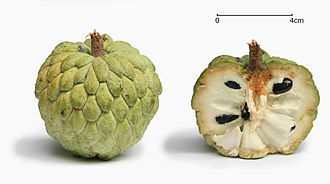 It is unique among Annona fruits in being segmented, and the segments tend to separate when ripe, the flesh is fragrant and sweet, creamy white through light yellow, and resembles and tastes like custard. It is found adhering to 13-to-16-millimetre-long seeds forming individual segments arranged in a layer around a conical core. It is soft, slightly grainy, and slippery, the hard, shiny seeds may number 20–40 or more per fruit and have a brown to black coat, although varieties exist that are almost seedless. There are new varieties being developed in Taiwan, the atemoya or pineapple sugar-apple, a hybrid between the sugar-apple and the cherimoya, is popular in Taiwan, although it was first developed in the US in 1908. The fruit is similar in sweetness to the sugar-apple but has a different taste. As its name suggests, it tastes like pineapple, the arrangement of seeds is in spaced rows, with the fruits flesh filling most of the fruit and making grooves for the seeds, instead of the fleshs occurring only around seeds. As a result of its cultivation, many local names have developed for the fruit. In English, it is most widely known as an apple or sweetsop as well as a custard apple. In Hispanic America, regional names include anón, anón de azucar, anona blanca, fruta do conde, saramuyo, grenadilla, in Arabic, it is called قشطة, the translation being cream. In Aceh, it is called seureuba, in Angola, it is called fruta-do-conde or fruta-pinha. In Bambara, it is called zumzum or sunsun In The Bahamas, in Brazil, it is called fruta-do-conde, fruta-de-conde, fruta-pinha, ata or anona. Its name in Burmese is aajaa thee, in Cambodia, regional names include plae teib. In Curacao, it is called skopapel, in Ethiopia, it is called Gishta in Amharic. Chacachacare is an island in the Republic of Trinidad and Tobago, located at 10°41 north latitude and 61°45 west longitude. The island is 3.642 km² in area and it is one of the Bocas Islands, which lie in the Bocas del Dragón between Trinidad and Venezuela. Chacachacare is the westernmost of the Bocas Islands which belong to Trinidad, patos Island, which lies further west, was part of Trinidad and Tobago until 1942, when it was ceded to Venezuela. It was originally named El Caracol by Christopher Columbus because of its shape, at various times in its history Chacachacare has served as a cotton plantation, a whaling station and a leper colony. Chacachacare, at the west of the first Boca, is horseshoe shaped, the hills slope towards the inside of the horseshoe. At the junction of the arms of the horseshoe, the land is flat, at times of spring tides or in rough weather the sea often passes over the isthmus. Boats can be hauled from calm water on the east to La Tinta, so called on account of the colour of the sand, which is black, the water being clear, but the sand beneath it makes it look black. In 1791, there were people living on this island, cultivating ground provisions. During the time of large quantities of cotton were grown. Later, when the price of cotton was very high, the industry was re-established by Messrs, there were three or four whaling stations carried on by Messrs. Gerold and Urich, Tardieu and F. Urich and Partners, looking across the Boca Grande there is a view of the Venezuelan mountains eight miles away. On a clear day they appear to be much closer, on the land side of the bay there is a fringe of deadly Manchineel tree. Tall cacti and aloes grow on the cliffs on the southern shore, there is a pebbly beach—Bande de Sud—inside which there is a lagoon from what in the early days the islanders attempted to extract salt. About 1887 a stone pier and a house for the use of a sanatorium was erected on the island by S. Chittendon. At present there is only a lighthouse on the west and the Leper Asylum on the island and his sister, Concepción Mariño, played a part in the Venezuelan War of Independence from her estate on the island. Gasparillo is a small island in the Republic of Trinidad and Tobago. It is one of the Bocas Islands, which lie in the Bocas del Dragón between the island of Trinidad and Venezuela. Gasparillo is actually made up of two separated by several metres of rocks. However the second island is small and is not independently named. The main island a little over 200 metres in length but is narrow, less than 50 metres at its widest point. It is, as with most islands around the Paria Peninsular, covered with dry forest vegetation, several species of birds nest at the island, including the short-tailed swift that nest on the eastern side of the island. 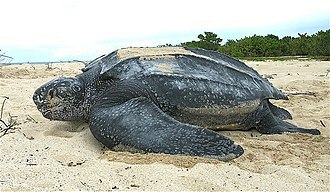 The Gasparillo name has been derived because of its size relative to the much larger Gaspar Grande Island. 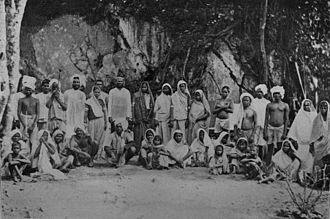 It has been called Scorpion Island and Centipede Island due to the nature of its fauna, sometime in the 19th century, it was referred to as Gopee, based on one of its owners Guppy, a Trinidad naturalist. He did not retain possession of the due to a failure of paying land tax. The saguaro is an arborescent cactus species in the monotypic genus Carnegiea, which can grow to be over 70 feet tall. It is native to the Sonoran Desert in Arizona, the Mexican State of Sonora, the saguaro blossom is the state wildflower of Arizona. Its scientific name is given in honor of Andrew Carnegie, in 1994, Saguaro National Park, near Tucson, was designated to help protect this species and its habitat. The image of the saguaro is indelibly linked with that of the American Southwest, the common name saguaro came into the English language through the Spanish language, originating in the Mayo language. Saguaros have a long lifespan, often exceeding 150 years. They may grow their first side arm any time from 75–100 years of age, a saguaro without arms is called a spear. Arms are developed to increase the reproductive capacity, as more apices lead to more flowers. The growth rate of saguaros is strongly dependent on precipitation, saguaros in drier western Arizona grow only half as fast as those in, saguaros grow slowly from seed, never from cuttings, and grow to be over 40 feet in height. The largest known living saguaro is the Champion Saguaro growing in Maricopa County, the tallest saguaro ever measured was an armless specimen found near Cave Creek, Arizona. It was 78 feet in height before it was toppled in 1986 by a windstorm, a saguaro is able to absorb and store considerable amounts of rainwater, visibly expanding in the process, while slowly using the stored water as needed. This characteristic enables the saguaro to survive during periods of drought, the saguaro genome is around 1.5 billion base pairs long. Sequencing has revealed that the genome of the saguaros chloroplast is the smallest known among non-parasitic flowering plants, the spines on a saguaro, less than two meters in height, rapidly grow up to a millimeter per day. When held up to the light or bisected, alternating light and these transverse bands have been correlated to daily growth. 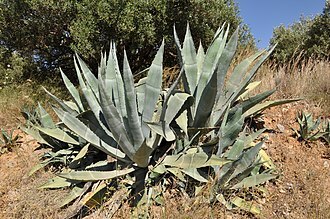 In columnar cacti, spines almost always grow in areoles which originate at the apex of the plant, a spine stops growing in its first season. 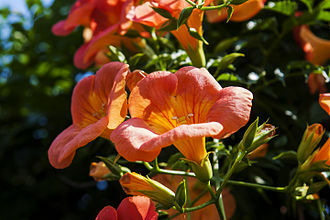 Bombax is a genus of mainly tropical trees in the mallow family. They are native to western Africa, the Indian subcontinent, Southeast Asia, as well as regions of East Asia. Distinguish from the genus Ceiba which has whiter flowers, common names for the genus include silk cotton tree, red cotton tree and simply bombax. In Chinese they are known as Mumian, meaning tree cotton, currently four species are recognised, although many plants have been placed in the genus that were moved. The genus is best known for the species B. ceiba and it is native to southern and eastern Asia and northern Australia. Bombax species are used as food plants by the larvae of some Lepidoptera species including the leaf-miner Bucculatrix crateracma which feeds exclusively on Bombax ceiba, the tree appears on the flag of Equatorial Guinea. Bombax species are among the largest trees in their regions, reaching 30 to 40 metres in height, the leaves are compound with entire margins and deciduous, being shed in the dry-season. They measure 30 to 50 cm across and are palmate in shape with five to nine leaflets, the calyx is deciduous, meaning it does not persist on the fruits. 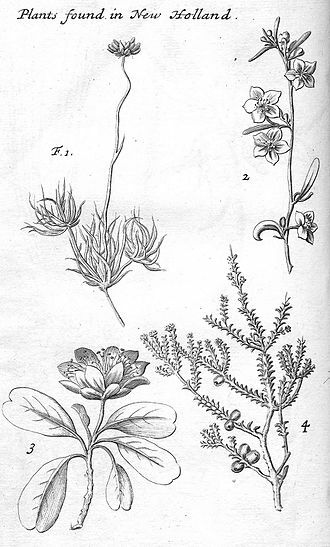 They bear five to ten cm long red flowers between January and March while the tree is still leafless, the stamens are present in bundles in two whorls, while the staminal column lacks lobes. Bombax anceps Pierre Bombax buonopozense P. Beauv, Bombax ceiba L. Bombax costatum Pellegr. Bombax mossambicense A. Robyns Ceiba aesculifolia Britten & Baker Ceiba pentandra Gaertn, Cochlospermum religiosum Alston Cochlospermum vitifolium Spreng. Pachira insignis Savigny Pseudobombax ellipticum Dugand Pseudobombax grandiflorum A, the carpenter tricked the devil into entering the tree in which he carved seven rooms, one above the other, into the trunk. Folklore claims that Bazil still resides in that tree, Bombax in Sanskrit is known as Shaalmala. According to Hindu Scriptures Shalmala Dweepa or Shalmala Island is one of the Seven Continents of the world, though geographically the Island is not yet been identified, It is believed that South Asian Subcontinent is perhaps regarded as Shalmala. Huevos Island in the centre, with Chacachacare behind it and Venezuela in the distance on the right. View from the Tracking Station in Chaguaramas. A man-made causeway connects Caledonia Island (right) with Craig Island (left). St. Giles Island - Northernmost land area of Trinidad and Tobago, West Indies. Protected bird sanctuary. Scuba diving nearby. Partial view of Craig Island and the remnants of structures on the island.